This one day group trip includes your round trip Catalina Express ferry ticket from Long Beach to Avalon on beautiful Catalina Island. We will take you on 2 guided training dives per day in the underwater marine park where the fish and sea life is abundant (additional dives after certification may be added at $50 per dive). For students continuing on from our group class and pool session the cost is $300.00. If you are joining us as an incoming referral (class and pool session done elsewhere) the cost is $395.00. In addition to your ferry ride, included is your basic SCUBA gear (BCD, wetsuit, regulator and hood) rental if picked up from In2Deep, 2 dives and your certification card (if the end of the 4 Open Water Checkout Dives) . 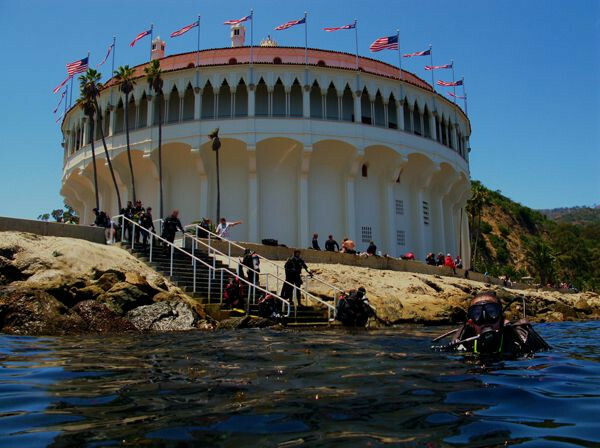 Parking at the Catalina Express, tank and weight rental, meals and drinks, hotel accommodations, any additional gear rentals and gratuities are additional. Call or email for additional information and to sign up.